Danni Nicholls first came to my attention when she played an acoustic set in the Peacock Café at the Maverick Festival a couple of years ago. 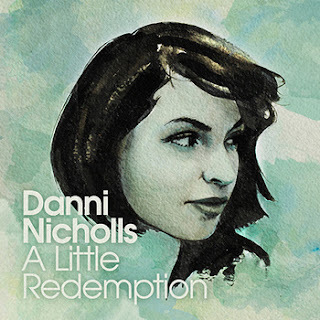 After a pair of EP releases in the intervening years, the raw talent impressively observed on that warm July evening has finally reached fruition with the unveiling of Danni’s debut album A LITTLE REDEMPTION. To those already in the know the eventual quality of this record was never in doubt but now the material is available to spread the word of Danni Nicholls to a wider audience. It is important for the future health of the UK’s Americana circuit that home grown artists continue to match up favourably against the stateside output and this delectable collection of adorable songs is recorded proof of this existing. Danni’s original take on a timeless style of music is reflective yet not imitative and the album embodies all the positive characteristics of the roots sound. With all but one of the songs coming from the heart and pen of Danni, either a self or co-write, the record has been moulded into a proud piece of work by esteemed American producer Chris Donohue who in the past has worked with the likes of Emmylou Harris, Patty Griffin and Buddy Miller. By taking herself over to Tennessee and working with some of the cream of East Nashville talent, Danni has fine tuned the raw talent of her true vocal skills, heartfelt song writing and musical ability to interpret songs in this art form. The album is an absorbed collection of Americana influences that flirt between tender ballads and increased tempo numbers served with a delicious helping of pedal steel, Dobro and a brass element headed by some subtle French horn. The mood of the tracks also swing between a tinged with sadness waiting song ‘The Next One’ and the optimism of love taking on the world in ‘Dragons in the Distance’, a track enhanced by the French horn. The sound also represents a diverse presence with a bluesy laid back feel to ‘Beautiful Game’, a recollection of a brief bout of flirtation, while there is a strong country feel to ‘Home Down the Line’ and ‘Cold, Hard Light of Day’, which as implied in the title deals with the reality of the night before. Those who like a little structure to their albums will be delighted with the pair of tracks that bookend this release. The enjoyable and appropriately titled opener ‘First Cuckoo of Spring’ starts the proceedings which are brought to a conclusion with the gorgeous closer ‘Goodnight Moon’, another track benefiting from a touch of faint brass and the solitary cover chosen. For me the two standout songs are at opposing ends of the album. In a seasonal jump from the opening song, ‘Hey There Sunshine’ is an appealing upbeat number that drives along with some impressive guitar work by the legendary Al Perkins on Dobro and includes input from acclaimed Nashville musician Will Kimbrough. The penultimate and title track ‘A Little Redemption’ virtually shares top billing and is an up tempo optimistic call for better things that won’t fail to leave a positive impression. The album’s remaining number ‘Bird of Paradise’ endorses a more acoustic roots sound and like all nine other songs is a laudable inclusion on this excellent debut record. 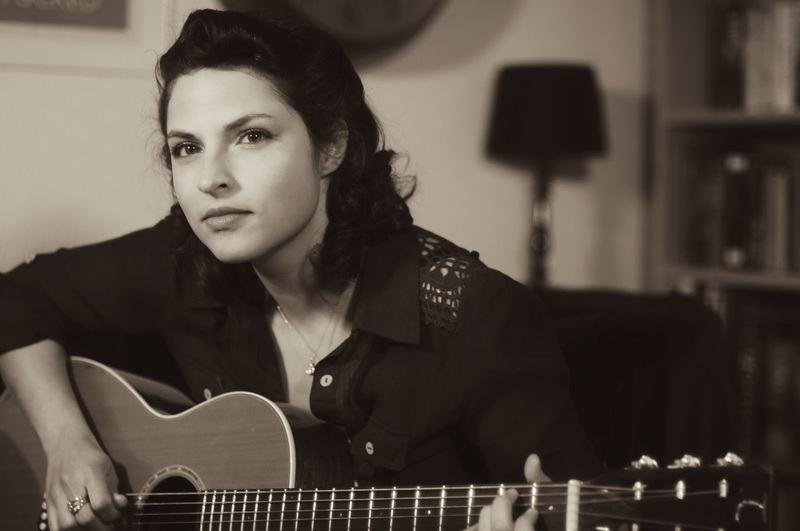 The Queen of UK Americana music may be a vacant crown but the guaranteed critical acclaim of A LITTLE REDEMPTION has just launched the candidacy of Danni Nicholls. This album is highly recommended and don’t forget Danni returns to the Maverick Festival this year when we can enjoy all these songs live, no doubt in their original stripped down version.